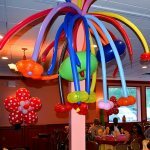 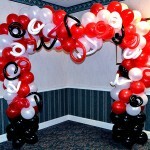 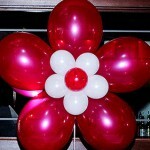 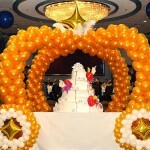 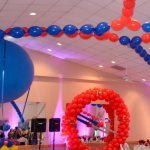 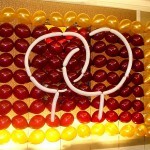 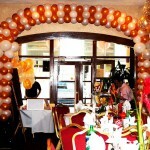 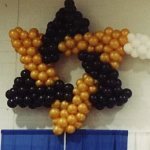 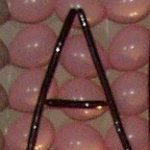 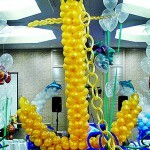 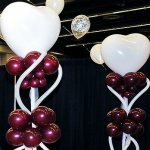 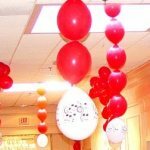 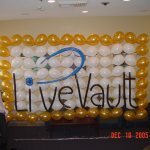 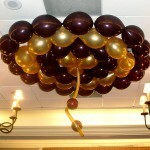 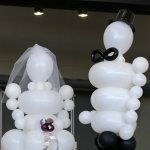 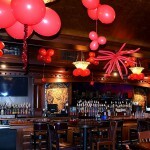 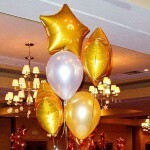 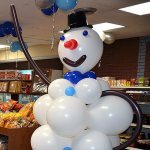 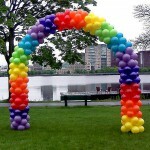 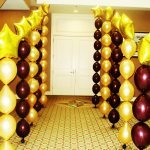 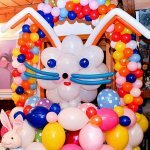 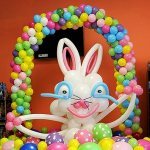 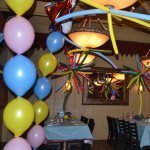 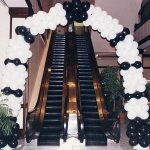 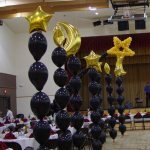 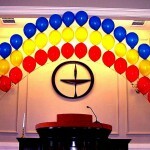 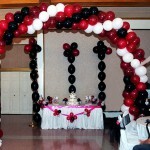 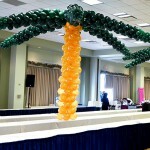 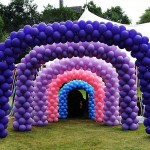 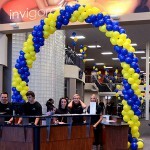 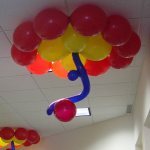 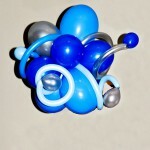 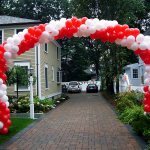 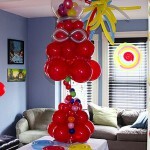 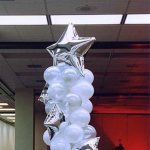 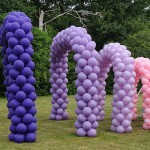 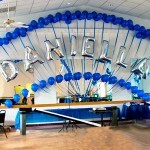 It can be seen as a balloon arch or as a set of two balloon columns. 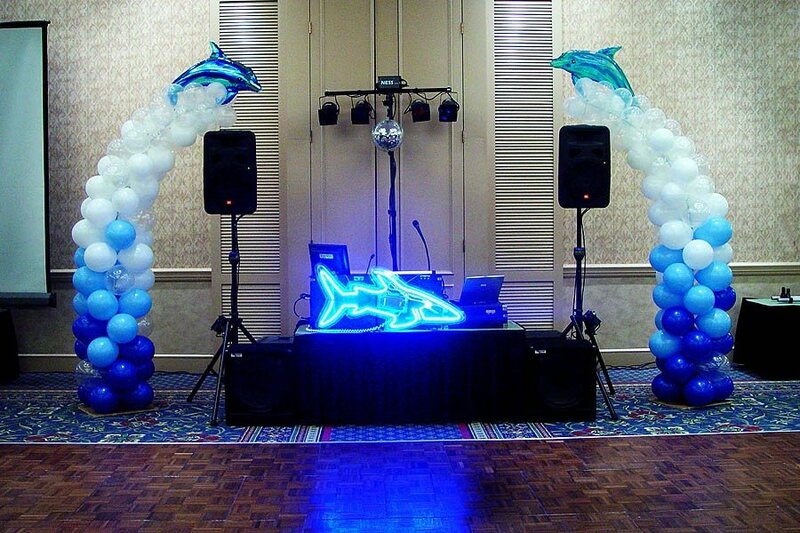 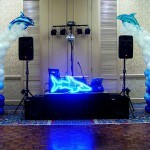 Here it is an underwater party, so dolphins are the tops. 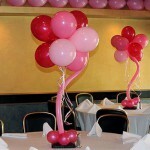 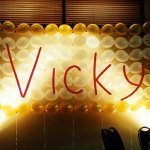 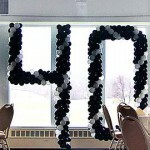 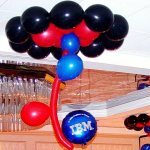 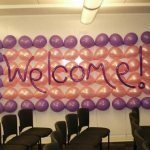 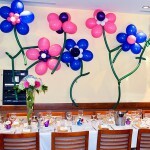 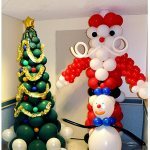 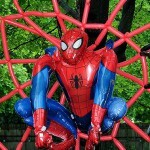 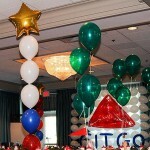 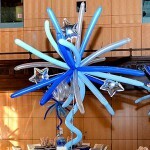 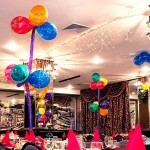 Any other tops can be used to theme any party decoration!